Best-selling and award-winning author and journalist Steve Jackson has written nine non-fiction books in true crime, history and biography genres; he has also written a dozen crime fiction thrillers for the “Butch Karp Series” in collaboration with former New York assistant district attorney Robert K. Tanenbaum. Find out more about Steve here. 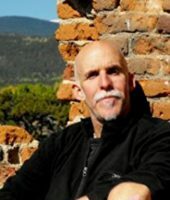 Discover books by Steven Jackson.